So, you hate your arm fat. You want to get rid of it, right? Don’t worry – I’m here to help. The only problem is, you can’t get rid of fat from just one single area on your body… just like you can’t get rid of only stomach fat. This type of “spot reducing” would be ideal, but it’s just not how our bodies work. However, you can get rid of arm fat if you put in the effort towards full-body fat loss. This article explains how to do just that, and how to do it quickly! Quickly getting rid of arm fat is easy when you know what to do and you have the right expectations. First of all, it’s important to remember that you can’t specifically target the fat on your arms over other types of fat on your body. However, when you eat right and do the right exercises you burn fat quickly, which melts the fat off all over your body and leaves your arms looking great. Make sure to run a caloric deficit of 500 calories per day and add whole, unprocessed foods to your diet and you will get the arms you want. Where Does Arm Fat Come From? Fat gets distributed throughout your body. Genes tell the fat where to go and how it will be distributed. That’s why everyone has different “trouble spots,” places where they struggle to get rid of fat. 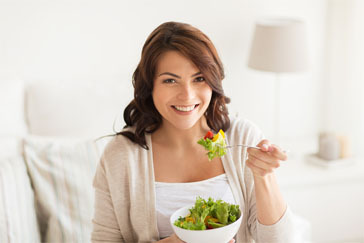 more: Want To Know What To Eat To Lose Weight? Read This Article! So How Do You Get Rid Of Arm Fat? You can get rid of arm fat through healthy diet, and good exercise. Your body fat percentage goes down the fastest by doing those two things. Your arm fat will also go down accordingly if you eat healthy and exercise frequently. So What Should Your Diet Be? Eating more veggies boosts your metabolism which will help you burn more calories throughout the day. Also, vegetables are low in calories and full of fiber. Eat less meat. Meat has more fat in it compared to other foods, and it is also pretty high in calories. If you improve your diet, you can decrease the amount of fat on your body. If you eat unhealthy, you will only build up fat on your body. Bad places to have fat on your body include arms, stomach, thighs, neck, and back. There are bad and good foods to eat. Bad foods include processed foods such as baked goods, pre made meals, and fast food. Things like cookies, cakes, burgers, fries, chicken nuggets, ice cream, etc. will make you gain lots of weight. If you give these unhealthy processed foods up, your body fat will melt off. What Kind Of Exercise Works Best? Exercise combined with proper diet melts fat off your body incredibly quickly. If you want to lose arm fat, just doing arm exercises alone will not work. You need to do a mix of work outs to exercise your entire body, this is very important. Doing a mix of exercises will boost your metabolism. You have to exercise every day to see results. When you build lean muscle, it burns calories and fat for you even when you are doing nothing! What’s The Best Diet To Follow To Get Rid Of Arm Fat? You should cut out refined carbs from your diet. These include sugar, white bread, white pasta, etc. Also cut out sugary drinks such as soda pop, and juices too unless they are made from 100% fruit. If you eat before bed, don’t do that anymore. Try to finish eating a few hours before bed so your body has time to digest what you eat. Do not skip breakfast! Breakfast is super important. If you skip breakfast, you are more likely to binge later on in the day. Make sure to have a nourishing breakfast to give you lots of energy. Drink lots of water! Water helps with digestion and helps with weight loss too. Try to focus on relaxation and low stress. Stress can cause weight gain. Stop eating fast food, and don’t drink soda. Avoid processed foods because they have no nutrition. For example, in a McDonalds burger there isn’t any real food! It is full of chemicals and preservatives that harm your body and cause weight gain. The “bread” on the burger isn’t even real bread, it has so many additives and you won’t find real foods in it. Basically, fast food doesn’t have any real ingredients in it! It is full of chemicals, preservatives, and additives that make you gain weight. It is just empty calories. Keeping yourself busy is very important and can help you forget about food. Quit watching tv! This will only make you crave junk food whenever you see commercials. 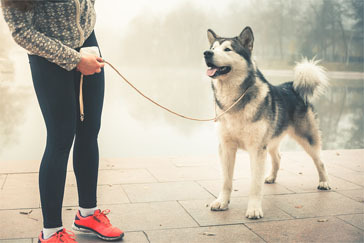 Keep yourself active and busy by taking your dog for walks, doing schoolwork, reading, writing, drawing, or any hobbies that you have. Eating soups more often helps you lose weight because it is so hydrating and low in calories. Eat more protein to keep you fuller. Examples of protein are lean meats, beans, nuts, seeds, and legumes. Making things such as chili and lentil soups is great. You body craves food because it needs nutrients. Fruits and vegetables have all the vitamins, minerals, and nutrients that our bodies need. They are full of fiber which helps you lose weight, and keeps you full too. No! It is extremely expensive, and a major surgery to have. If you are dead set on it, go to the best doctor that you can find. But really you can lose the arm fat yourself so much safer and without spending thousands of dollars if you follow the simple directions and tips given in this article. What are the best arm exercises? Wouldn’t it be nice to walk into a clothing store and buy any top that you want? If you have arm fat, chances are you can’t do that. These are the best exercises to get rid of that pesky arm fat, and they only take a few minutes a day! Triceps, the muscles under those bat wings, are a great place to start. You can work them out with a dumbbell. To do this, stand up and hold one dumbbell with both hands behind your head, with your upper arms pointing straight up. Raise the dumbbell by curling your elbows and slowly lower it back after a short pause. Repeat this process. Your upper arms should remain still throughout. Biceps are another great area to exercise. Doing bicep curls are very effective. Simply hold the dumbbell in one hand, then with your wrist facing up, bring that dumbbell to your chest. Switch arms and then repeat. An amazing full arm exercise is jump rope. Get a jump rope, and start skipping. Your arm is being exercised by lifting the rope above your head each time you jump. How do I burn arm fat as fast as possible? Try to do 45+ minutes of cardio at least 5 days out of the week. How do I burn arm fat at home? Do pushups! Pushups are the best exercise to do at home to burn arm fat. Boxing is also a great exercise to lose arm fat. Additionally, you can get rid of armpit fat with pull-ups. What if I want to burn arm fat but keep my breasts? Do exercises on shoulders, triceps, and biceps to burn arm fat while still keeping your breasts. Dumbbell exercises are great. Eat a healthy, and balanced diet avoiding processed food and fast food. Drink lots of water too! How do I burn arm fat without gaining muscle? Even when you strength train, the fat on your arms will go away first before you ever start to see any definition from your muscles. Building some muscle underneath the fat will actually help the fat burn faster. If bulk is what you are worried about, it’s best to use lighter weights and do more repetitions. I think this internet site holds very wonderful composed content material content. do not only focus on arm exercises. be sure to watch what you eat as well. ladies, this is brilliant! im sure all of us are interested in this topic! i will have toned arms soon, thank to your advice. i can’t wait to get rid of my arm fats so i can confidently wear my old and even the new clothes that show my arms. oh gosh, i need these tips just in time for my wedding in anfew months! 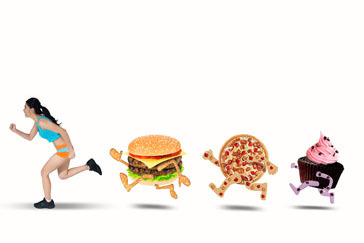 Definitely avoid fastfood, sweets and salty foods to succeed. this is definitely considered a serious problem among women. thank goodness, you are here to save us! avoid fast food and all processed foods, this will make your life better! i would love my arms with a bit of a muscle so i would add some weights on. gaaah i need this!! can;t wait to lose those arm fats! i need this so bad! i’ve been wanting to get rid of lose fat on my arms! nice tips! will definitely do these tricks! wow, this is very timely. great that i bumped into this post, i will follow your advice. love this article! i’ve been researching diet tips and this one seems interesting & effective, will definitely try this! thanks!